The EU compromise with environment began in 1992 when it created the LIFE programme. This initiative has co-financed more than 4,600 projects. Until 2013, LIFE had contributed approximately €3.1 billion to the protection of the environment and during current 2014-2020 funding period the programme will contribute approximately €3.4 billion more. Among all the projects we could remark LIFE AgriAdapt. This project promoted by Bodensee Stiftung (Lake Constance Foundation), Eesti Maaülikool (Estonian University of Life Sciences), Solagro and Fundación Global Nature focuses on the adaptation measures that maintain or improve the farm competitiveness. From LIFE AgriAdapt are interested in demonstrating in the main four Climate Risk Areas of the EU that other environmental and socioeconomic synergies can be met when fighting against climate change, such as ecosystem services maintenance, biodiversity conservation, water and air quality, better jobs, integration of vulnerable communities, better supply security for the industry, etc. The overall purpose of the LIFE AgriAdapt project is to demonstrate that three of the most important farming systems in the EU (livestock, arable and permanent crops) will become more climate-resilient through the implementation of feasible and sustainable adaptation measures which also have positive crosscutting environmental benefits. 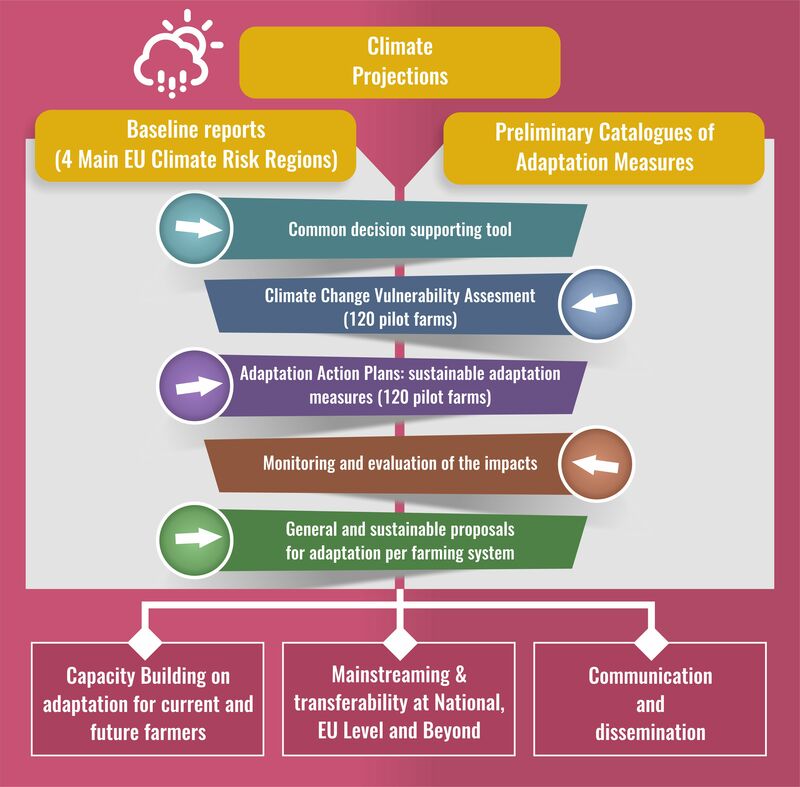 To this end, different measures have been tested in pilot farms across the four main EU Climate Risk Regions and the conclusions obtained have been used to elaborate general proposals for key farming systems. to raise awareness and train current and future farmers on sustainable adaptation options at farm level to transfer best practices and know-how to political, agricultural and food business stakeholders and contribute to the development and implementation of EU, national and regional policies.